We bring you the fifth of a 14 part series of extract from the Morphogenesis Monograph, to give you a peek into the mindspace of one of India’s best recognized, sustainable design practices. “The emergence of the nullahs (watercourse) initiative stemmed from the realisation that the city has stopped generating memories. Rampant development, triggered by a population explosion, has caused the demise of urban spaces, and walkability options that allow people to experience a city close up are rapidly diminishing. 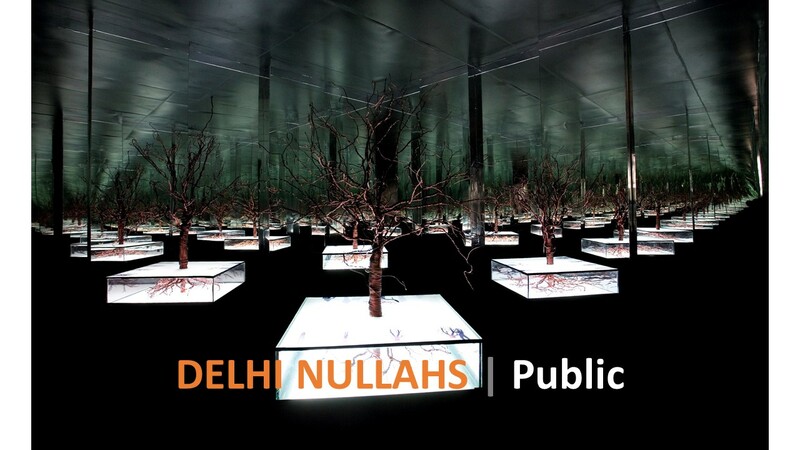 The nullah network traverses the national capital in a dense, contiguous system that spans 350 kilometres (217 miles) with 20,000 branches, across 708 hectares (1750 acres) of land, and ultimately all tributaries connect to the Yamuna River. Currently, the nullahs are unhygienic drains, in a dilapidated state – they smell, breed disease and pollute the Yamuna River. However, a relatively small effort can turn the nullahs into a valuable asset for the common citizen and address the distortion between infrastructure, transport and land use that has evolved over time through the city’s rapid urban growth. A key aim of this initiative is to use these rehabilitated waterways as an alternative transport network, and where possible, create last-mile linkages along the nullah network. The restoration project would also provide an alternative environmental corridor. Simple strategies like using a system of organic reed beds and aerators to clean the sewage entering the nullahs are recommended for their rejuvenation. Some of the nullahs are around 700 years old and were built by the Tughlaq dynasty to provide water to Delhi’s old cities. Many of the city’s famous archaeological sites are situated along the nullah network. The nullahs can naturally interlink these historic nodes and a historic route can be charted through the rich heritage of this city. Thus, the rejuvenated network could be used to trigger a number of new urban activities, ranging from tourism to sports, creating a cultural web within the metropolis.